Smart financial services institutions are looking to integrated performance management and SM&CR Software to meet their regulatory requirements. As you would expect there are numerous regulatory systems on the market, however they are designed to report on the senior management aspects of this requirement only. They are rarely designed to capture CPD or conduct requirements in anything but a ‘tick-box’ way which may be suitable for compliance. However, if we take a step back, it seems obvious that evidencing and giving feedback on (conduct) behaviours fits logically within another annual process which should be pre-existing – the appraisal. This makes even more sense when we add in CPD. In fact, running parallel processes of SM&CR and appraisal could even cause conflict. Of course, both purposes are wildly different, appraisals should be about enabling the individual to perform at their best, developing their skills, nurturing talent and ultimately increasing engagement and retention – a key priority for many businesses. On the other hand SM&CR is a regulatory process, it is there to eliminate risk and, perhaps most importantly the senior people in the business will be culpable if it doesn’t happen – so it is definitely NOT optional. 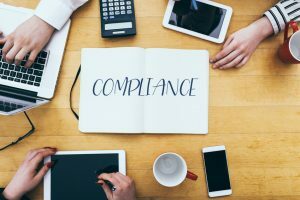 Strategically, both are important – but let’s face it, in a fight between HR and Compliance we all know who will win every time! What potential value can there be from integrating Performance Management processes and SM&CR requirements? Integration of the two processes has the potential to bring huge value to both by improving the take up and commitment to timely appraisal and with the right management, preventing SM&CR from being a pure ‘tick-box’ exercise by improving the quality of behavioural conversations and aligned development. How can Actus Software help with your appraisal and SM&CR requirements? Unlike standalone SM&CR software or appraisal systems, Actus can provide a one stop shop for your appraisal and SM&CR requirements with the launch of our integrated SM&CR module: Actus Comply. We were approached to develop this module by a member of the Financial Services Industry as they could see that Actus Performance Management Software already met a number of the requirements and there would be huge synergy in bringing them together. If you would like to take a look at how Actus could provide you with a one-stop solution to SM&CR and talent retention and engagement then please get in touch below.